Generates glowing light from areas of the source clip that are brighter than the given threshold. The glows are also attenuated by a solid noise texture to give them a noisy or grainy effect. If the Jitter Frames parameter is positive, the noise will be regenerated for each frame for a fizzling look. If Jitter Frames is zero, two noise textures are combined and slide over each other at a rate depending on the Spread Speed. Source: The input clip that determines the glow locations and colors. This clip is also used as the background and the glows are layered back onto it. Width: Default: 0.5, Range: 0 or greater. Scales the glow distance. This and all the width parameters can be adjusted using the Width Widget. Note that a zero glow width still enhances the bright areas; set the brightness parameter to zero if you want to pass the Source through unchanged. Scales the red glow width. If the red, green, and blue widths are equal, the glows will match the color of the source clip. If they are not equal, the glows will vary in color with distance. Noise Amplitude: Default: 1, Range: 0 or greater. 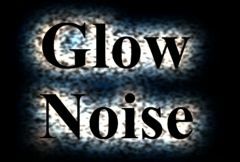 The amplitude of noise to include in the glows. Noise Frequency: Default: 40, Range: 0.02 or greater. The spatial frequency of the noise texture. Increase for finer grain, decrease for coarser grain. Noise Freq Rel Y: Default: 1, Range: 0.02 or greater. The relative vertical frequency of the noise texture. Increase to stretch it horizontally or decrease to stretch it vertically. Noise Octaves: Integer, Default: 1, Range: 1 to 10. The number of octaves of noise to include. Each octave is twice the frequency and half the amplitude of the previous. Brightness: Default: 2, Range: 0 or greater. Scales the brightness of all the glows. Scales the color of the glows. The colors and brightnesses of the glows are also affected by the Source input. Glows are generated from locations in the source clip that are brighter than this value. A value of 0.9 causes glows at only the brightest spots. A value of 0 causes glows for every non-black area. Scale Source: Default: 1, Range: 0 to 1, Shared . Scales the brightness of the Source input when combined with the glows. This does not affect the generation of the glows themselves. Eclipse With Bg: Default: 0, Range: 0 to 1, Shared . If this is set to 1, the background is subtracted from the glow and gives an eclipsed shadow effect. Determines how the glow is combined with the Source or Background. This parameter has no effect if Light BG is set to 1. Mult: the source or background is multiplied by the glow. Add: the glow is added to the source or background. Screen: the glow is blended with the source or background using a screen operation. Difference: the result is the difference between the glow and the source or background. Overlay: the glow is combined with the source or background using an overlay function. Noise Shift: X & Y, Default: [0 0], Range: any. The horizontal and vertical translation of the noise texture. This can only be observed if Jitter Frames is zero. Noise Seed: Default: 0.123, Range: 0 or greater. Jitter Frames: Integer, Default: 1, Range: 0 or greater. If this is 0, the noise texture will remain the same for every frame processed. If it is 1, a new noise texture is used for each frame. If it is 2, a new noise texture is used for every other frame, and so on. Spread Speed: X & Y, Default: [0.1 0], Range: any. The rate and direction that two noise textures slide over each other. This has no effect unless Jitter Frames is zero.